SO; Sherlock Holmes and Shawn Spencer are both consulting detectives that, on occasion, do personal work as well. They have so much in common, including both having eidetic memory, and a good sense of humour. Most people would feel compelled to punch both of them as well. Though some may say that Sherlock can deduce with exquisite accuracy, and that he tends to be more accurate and quicker, it is also true that Sherlock has collected vast amounts of information, whereas Shawn, despite having similar abilities, although not applying them in a deducing sort of sense, may be able to have done similarly to Sherlock, however, does not possess such knowledge as Sherlock. 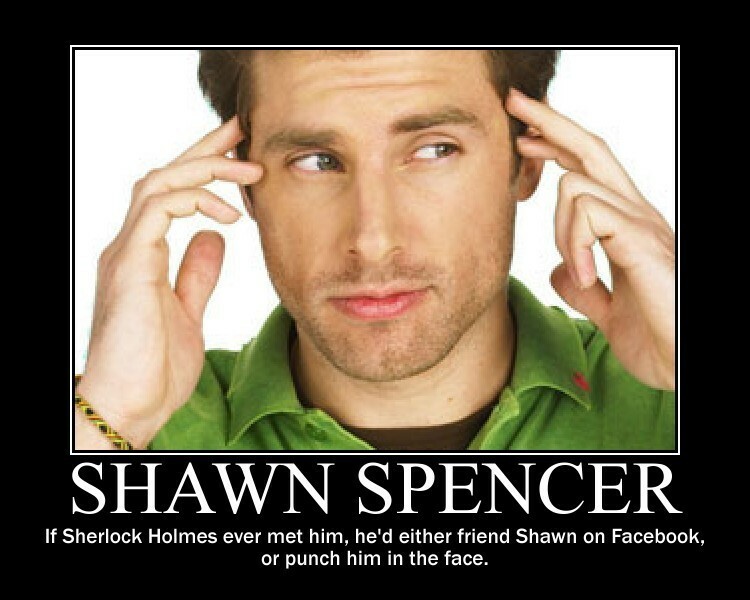 SO, assuming Sherlock was as knowledgeable Shawn, or Shawn was as knowledgeable as Sherlock, who would be the better detective? I'd expect no fan-based opinions, but opinions that are backed up by sensible reasons, and well made supporting deductions.